You have heard of designer clothes, but what about designer cats? Here are some amazing designer cats that even Karl Lagerfield couldn't imagine walking down his Paris runways. It may sound strange, but it's true. Owning an exotic cat like a Leopard or Ocelot was possible in the 1950's. Nowadays, we understand they should be in the wild. However, if you still have your heart set on owning an Ocelot or Leopard, a Bengal is the next best thing. Get all the exotic cat feel and trademark rosetted pattern coat with this big animal that comes in a small size. 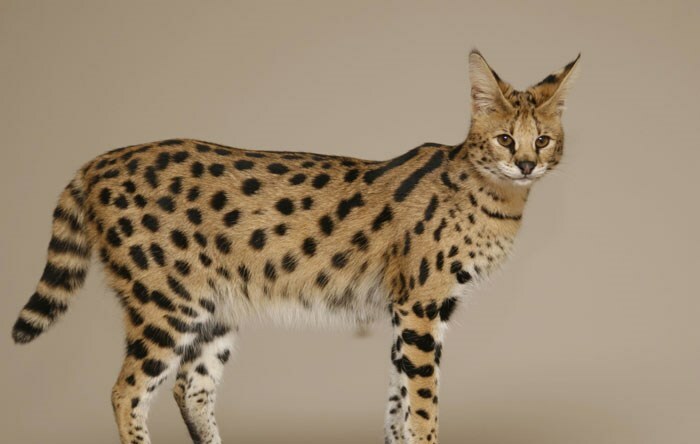 What do you get when you breed a domestic cat with a Serval? This beautiful Savannah cat. A Serval is a wild carnivorous cat that is native to African savannahs. 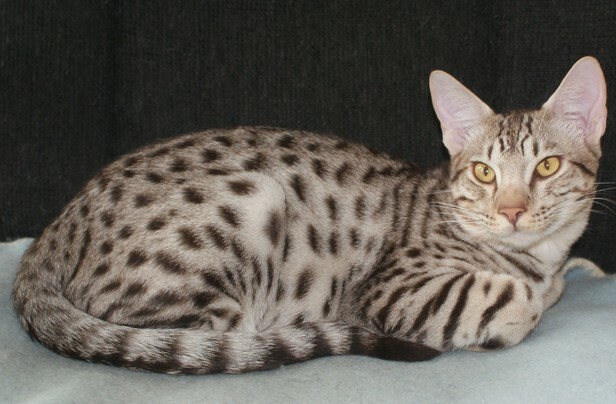 The Savannah is a newer breed compared to the Bengal. 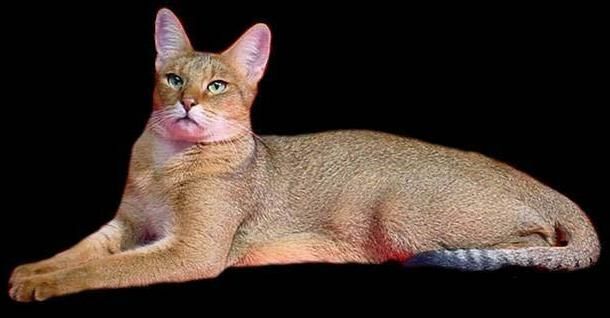 Some states still won't allow Savannah cats unless they are a 6th generation breed. Back in the 1960s, when banning people from owning big cats as pets was coming into effect, someone had the bright idea of breeding Abyssinian cats with wild jungle cats in the Middle East. That's when Chausies were born. Chausies have ancient Egyptian elegance that no cat lover can resist. The Oriental is a Siamese cat in designer jeans. They are extremely intelligent, vocal and many say 'dog' like in nature. They were created by breeding Siamese, Shorthair, Abyssinian and Russian Blue cats together. The Oriental Shorthair has a heart shaped face with gremlin looking ears that you will just adore. Ocicats haven't been bred in the jungle, but they look like they can take care of themselves in the wild. They resemble the endangered Ocelots that come from South Western Texas and Argentina. Ocicats were created when a Siamese was bred with a Abyssinian. These cats are strong and athletic, so they can handle themselves in the living room or the jungle. Ocicats are houscats gone wild! It might look, walk and act like a Cheetah, but it's actually a CHEETOH! It's a highly energetic cat that will be running all over your house. So, do beware that you will need time and patience with this baby size Cheetah. Also, Cheetohs are big, ranging from 15-23lbs compared to an average domestic cat that weighs 8-10lbs. Although the Cheetoh looks like its wild ancestor, it's a docile and sweet cat. The toy-ger is just like the name suggests. A toy tiger that won't scare your neighbors away. 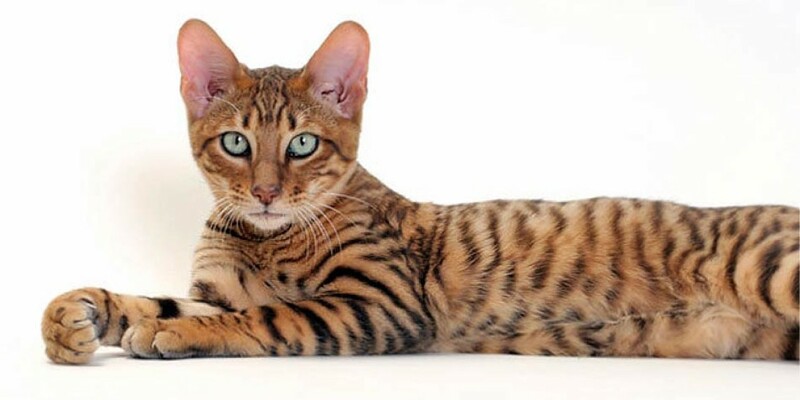 By crossing Bengal cats with other domestic breeds, cat breeder Judy Sugden manage to create the same tiger markings we can also see on the Toyger today. These tiger patterns are the orange coat with vertical dark stripes. Judy's mother, Jean, was responsible for creating the Bengal breed.